NSW planning legislation and local Councils have comprehensive and complex requirements for Development Application (DA) lodgement. Proper preparation of a development application can avoid costly time delays and lead to a quicker approval. A development application (DA) submission that comprehensively addresses all legal town planning and Heritagerequirements means that the development application stands a better chance to withstand scrutiny at both Council and, if necessary, the Land & Environment Court. Our town planners will help you understand the complex NSW planning legislation and devise strategies to get the necessary approvals. If you want to manage your project yourself, our town planner can recommend experts architects, urban designers, acoustic / traffic /stormwater engineers, environmental scientists, landscape architects etc. to help you with your Development Application (DA). The above are not an exhaustive list of the types of development applications that we can help you with. Contact our town planners for assistance with your DA. Planning Proposals to rezone your property or area e.g. rezone from residential to commercial, or industrial to residential etc. or apply to allow new land uses permissible in the existing Council zoning. Subdivision applications to subdivide your land into smaller lots, or to combine with neighbouring land to make a bigger land. Heritage Impact Statements (HIS); which are needed for developments that are located on, within or in proximity to Heritage items or Heritage conservation Areas. Plan of Management / Operations (POM); which are needed for development applications for uses such as places of public worship (temples, mosques), businesses with late night trading or 24-hour operations (bars, clubs, nightclubs, gyms), boarding houses, child care centres etc. 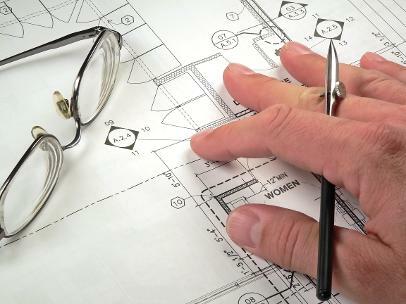 Planning Due-Diligence & Development Feasibility Report. Our town planning consultant can review Section 149 zoning certificates & planning legislation and Council LEP & DCP to advice & report on the the development potential & constraints of the land, and the potential for redevelopment. It is always recommended to get town planning advice prior to the purchase of property / land.